I won't bother to describe all flavours as there aren't too many. Save you money for something worth € 180. Character: Sweetish-malty smoke-spray juice with delicious smoked bacon and a hay-roast of Kilchomans. Characteristic rather young and brute. Blind, I would have typed a maximum of 10 years. This filling is extremely intense and tolerates water. With water, the drop opens a little bit more in taste and I find it in a direct comparison, the drinking feeling a little more pleasant. Rating: A self-consistent filling with a noticeable, but rather moderate red wine impact. Delicious and good drinkable, but for me irdgendwie also arbitrarily interchangeable. I am pleased to have tried it, but for me this PC is not a candidate for a large bottle. For that I miss the famous certain something. I have a good 87 points today. Tendency 88. 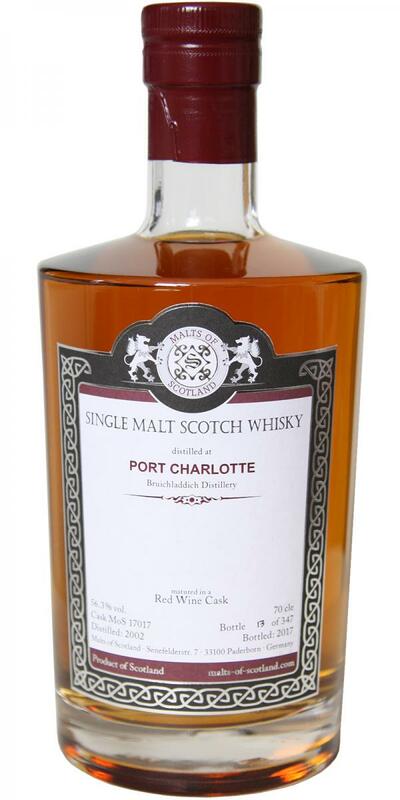 Description: Like a punch of peat smoke, sweet smoked bacon, malt and pine needles. The alcohol is well integrated, but the high cask strength is immediately present. So really many more nuances would not open up undiluted me. Red fruits are to be guessed, but are strongly overlaid by the notes mentioned above. Even after a long time there is nothing more. With a good teaspoon of water to 3cl, it is a bit more accessible and it also comes through a pronounced Heunote. Otherwise, it also stays with water: fruits play out at most in the background. But it is not a dram: it just stays with a fat smoky-sweet Islay nose. Description: Substantive, malty and with rich clouds of smoke, the drop hits the tip of the tongue. Blind, I would probably even typed here on a Kilchoman, as well as the taste of the hay marks is clearly present. Something else that I usually feel as Kilchoman-typical. Whatever the flavor, there is what it announces nose: peat smoke full, a sweet malt that is so dense that it invites you to enjoyable chewing and delicious smoked bacon. The pine needles can be found in the taste again. Somehow I feel reminded of allspice. The oak is there, but rather keeps a bit cloudy in the background. It will never be dry in the mouth. The drinking feeling is rather juicy. Without being superficially accessible, grapes and berries somehow resonate. Description: The finish is medium to long. At the end of the departure you could finally realize that this is not a very young greenhorn. 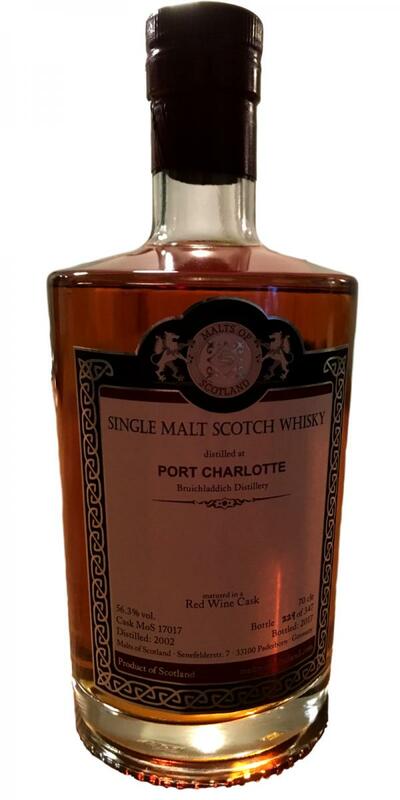 Sweet peat smoke, malt and the memory of smoked bacon on the palate sound balanced, intense and gentle. It creates a pleasant warmth in the epigastrium and with a hint of oak and juicy grapes finally the curtain falls. 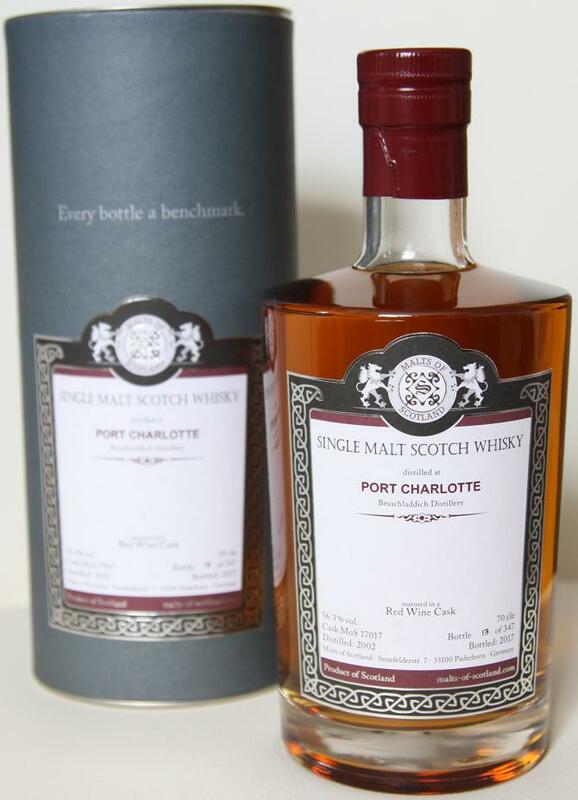 Very good Port Charlotte which doesn't need any water, but definitely not worth the € 180 it's been sold for! Taste: the first onset in the mouth is not particularly intrusive, beautiful sweetness, red fruit, then the peat hits with all its might and laps around the mouth with a long-lasting peat smoke. Finish: long, also here, of course, intense peat smoke aroma, to the Rotwin and behind the oak, which is clearly dry. Water: The calls for the water, he screams, do wim but sometimes the favor - yes, with water he twas softer, much more caramel and the red wine is more intense, the oak tends towards pencil abrasion, The pepperiness he loses by the Not water.